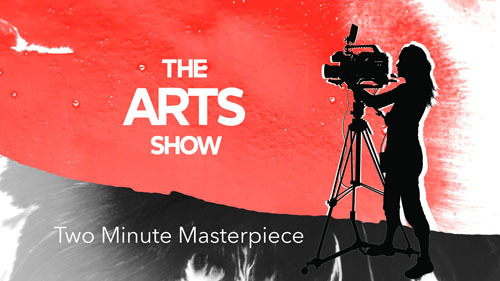 Two Minute Masterpiece is back – only this time it’s bigger and better! Looking to build on the success of the previous Two Minute Masterpiece projects where BBC NI funds emerging film talent, this year the initiative will be having two calls for ideas and giving 10 aspiring directors the chance to create a short film. This time, we’re also doubling the production fund for each film, awarding £2000 towards realising their cinematic vision. For this first call of 2019 another five female producer/directors in Northern Ireland are given the opportunity to have their voices heard. The five films commissioned last year – Divis Tower: Both Sides Now, It’s My Party, And You Asked Me, Everything Will Be Ok and The Essence of Me showcased the diverse range of talent and stories that female film makers in Northern Ireland wanted to tell. Mental health, social media, love, female absence and paganism are just some of the subjects explored in these works. The hugely successful screening and reception of these Two Minute Masterpiece films at the Belfast Media Festival in November 2018 served to underline the importance and relevance of last year’s tranche of films. BBC Arts NI in partnership with BBC Arts and Northern Ireland Screen, wants to give female film makers – based in Northern Ireland the opportunity to create a special film that will be screened on BBC platforms with the possibility of being screened on BBC Four. These short films must have an artistic and cultural aspect at their core. It could be a drama, a documentary, a music video or an animation – we’ll leave that bit entirely up to you. Send an email with your details and idea (500 words max) and BBC NI will be in touch to get a copy of your CV and show reel (if applicable). The closing date for receipt of entries is Monday 25th February 2019. BBC NI will invite up to 10 shortlisted film makers to a mentoring session in BBC Northern Ireland on the evening of Wednesday 6th March 2019. Shortlisted candidates will then have a day to update their proposal and resubmit it ahead of the pitching sessions on Friday 8th March 2019. The five successful filmmakers will be paired with a mentor and each awarded a small production fund (£2000) to make the film. Films must be delivered by Wednesday 29th April 2019. Editing, grading and dubbing will take place on a date between 6-10 May 2019 at BBC Northern Ireland. It is essential that you are available for the mentoring, pitching and editing days so please only submit a proposal if you are free. If you are passionate about having your voice heard send your idea now!